42 years ago today I went to see the Rolling Stones at Madison Square Garden. 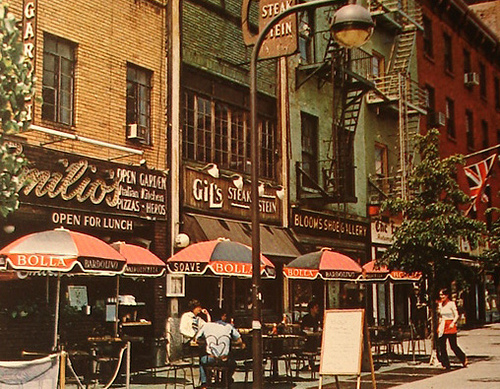 I was 17 years old and I worked at a shoe store in the Village called Bloom’s Shoe gallery. It was summer, so I was working three days rather than the Saturday I worked during the school year. I was starting college in the fall. I won the right to buy tickets by sending a postcard to WNEW F.M. radio; I probably sent in a bunch of postcards, I don’t remember if there was a limit. A week before the show I received a letter in the mail that authorized me to stand in line at Madison Square Garden and buy 4 $10 tickets. All tickets were $10, and you got whatever seat you got. The line was huge, and I remember standing in the hot July sun in that little plaza next to the Garden waiting for my turn. That I had $40 to spend on the tickets was only because I had that job at the shoe store. One of the tickets was spoken for; I was taking my girlfriend Elissa to the concert. Elissa was a tall willowy girl with dirty blond hair from Bayside who played the recorder. She wasn’t exactly a rocker, more of a recorder player. But she didn’t say no to the Rolling Stones. The other two tickets I sold to my best friend from High School Richie Miller, for cost. After all, we were best friends. He brought along his girlfriend Diane, who was from Canarsie like Richie. The day came and Elissa and I met Richie and Diane in front of Macy’s before the concert. Richie had some weed and I bought a bottle of wine. I was never carded since I had a big Pancho Villa mustache. Elissa did not indulge; she was not that kind of girl. That kept me from dropping the tab of acid Richie had slipped me in front of Macy’s. I was really smitten with her and didn’t want to screw it up. She didn’t mind if I smoked a little weed, and even had a sip of the wine, but I knew she would draw the line at acid. We went in and took our seats, which were in the second row of the loge. I thought it was better than being on the floor, as we could see the whole stage. When The Stones took the stage Richie and Diane got up and disappeared into the crowd, massing with a lot of others near the stage. Elissa was staying put, so I stayed in my seat. 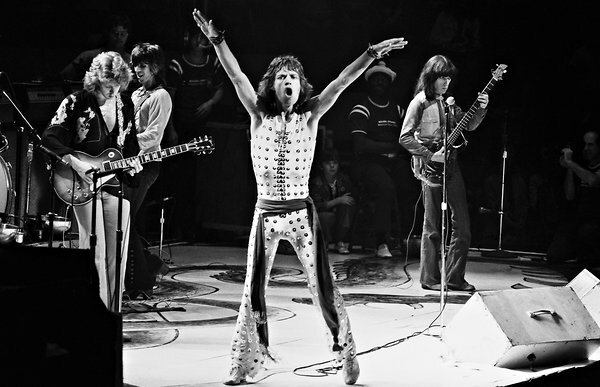 It was a great show, I think the first song was “Street Fighting Man,” but they did that and the showpiece of the performance was “Midnight Rambler.” During Midnight Rambler Jagger took off his wide belt and smacked it on the floor every time the band did the all instrument “slam” in the middle of the song. For me the most memorable song was “You Can’t Always Get What you Want,” and unbeknownst to me it was a harbinger of my relationship with Elissa, but in the moment I was impressed by the French horn player and the choir that took to the stage just for that song. It was just like the record! They brought the house down. There was so much cheering and yelling and whistling I could have gone deaf from that alone. The Stones left the stage to a standing ovation, and after a few minutes of much screaming and yelling and whistling, the took the stage again, and Keith Richards launched into the familiar chords of “Satisfaction.” The crowd went wild again. Stevie Wonder was led onto the stage, and was directed to a microphone. It was Mick Jagger’s birthday! What a treat! 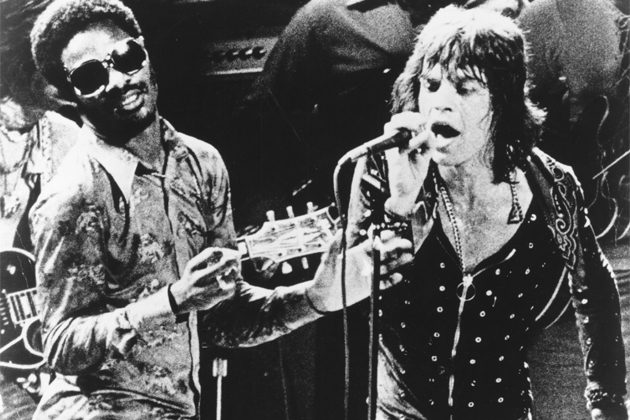 In the middle of a move Jagger swiftly made it to Stevie’s microphone and pulled the cord from the end, and Stevie Wonder’s vocal of “Happy birthday, Mick” ended abruptly. There were a lot of people on stage, the Stones, the horns, the backup singers, even some people from Wonder’s band were up there clapping hands in time with the beat, and nobody paid much attention to Stevie Wonder, who realized his microphone was dead and started feeling around for another. He was near a keyboard player and reached around till his hand touched a microphone boom. He was home free. I wonder if I was the only person focused on Wonder, if anyone else even noticed. But I was fascinated how this blind man was flailing around until his hands found a microphone. The dude was determined to wish Jagger a happy birthday. “Happy birthday, Mick!” Boomed over the speakers. Jagger promptly made his way over to that microphone and unplugged it too. I guess he was tired of hearing it. 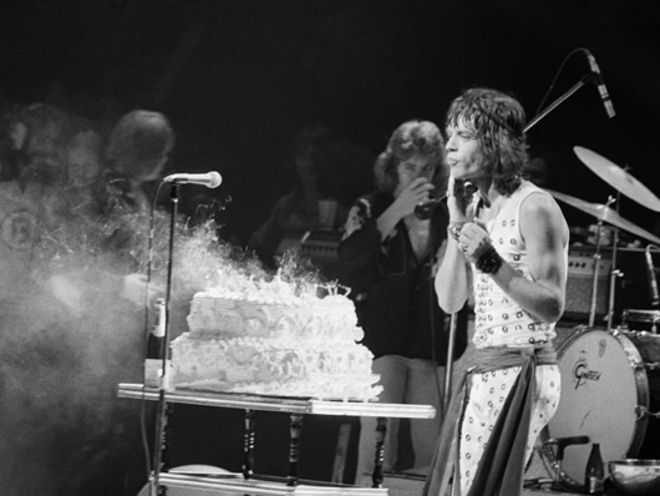 After the song a big cake was rolled out on a cart, and Stevie was finally able to sing happy birthday to Mick.